Somehow Apple manages to survive, despite all the dire warnings. No one can really say what “cool” means but we know Apple isn’t cool anymore because we can string some anecdotes and discredited narratives together and, boom, not cool. Were there slow iPhone X sales? Pundits certainly said that for two quarters but iPhone sales were up for both and the iPhone X was Apple’s best-selling model. 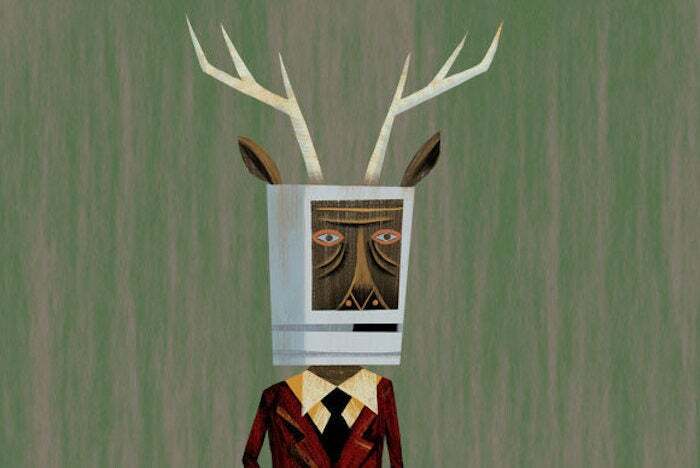 …analysts debate the timeless question: Has Apple lost its mojo? It is indeed timeless as it was asked in 2012, then in 2014 and again now. It’s always been hogwash, but it is timeless hogwash. Now all the cool kids are into vinyl records and rotary dial. That joke is funny everywhere but Brooklyn, where it’s actually true. Apple sold 216.76 million iPhones last year. Better shut it down. The iPhone is over. The iPhone X -- Apple's ultra-premium model that it rolled out last September, also marking the 10th anniversary of the device -- hasn't exactly lit the world on fire. It has exactly lit Apple’s revenue on fire, though. iPhone X sales have been under the microscope since supplier reports suggested weak demand for the $1,000-and-up phone last holiday season. Reports that turned out to be completely bogus, a fact that Gaus neglects to mention. Even the most devoted iPhone users aren't rushing to drain their wallets on the latest and greatest from Apple. Since the iPhone X’s launch, Apple has repeatedly said it’s been the most popular iPhone and Tim Cook said so again during this quarter’s conference call. But these protestations pale in comparison to this anecdote that Gaus managed to scrounge up. Logan Abbott, who runs the popular smartphone comparison engine Wirefly, says that the iPhone still dominates among his site's users, included in 54% of all searches, as opposed to 16% for the comparably-priced Samsung Galaxy and Note lines. But interest in the iPhone 8 and 8 Plus outshines that for the iPhone X, with the latter included in only 20% of all iPhone searches. Clearly this dude from a website knows more about Apple’s business than Tim Cook does. Dude from a website for Apple CEO, once Tim Cook is rightly removed by the board. Apple's iPhone vs. services quandary is igniting debate as Apple prepares to releases its Q2 earnings on July 31 after market close, with some analysts welcoming a post-iPhone paradigm shift for Apple and others, like Forte, expressing some worry that Apple isn't ready for a future where "your phone isn't the control center of a connected universe," with devices such as Amazon's Echo and Google Home on the rise. They may be “on the rise” but Amazon reportedly sold 2.5 million Echos in the first quarter of 2018 while Apple sold 52 million iPhones. It’s amusing that Apple gets dinged for not thinking outside the iPhone sales box when it sold probably a million more Apple Watches in the first quarter than Amazon did Echos. Apple’s revenue was up 15 percent this past quarter. The Macalope thinks maybe the company will be OK, cool or no cool.